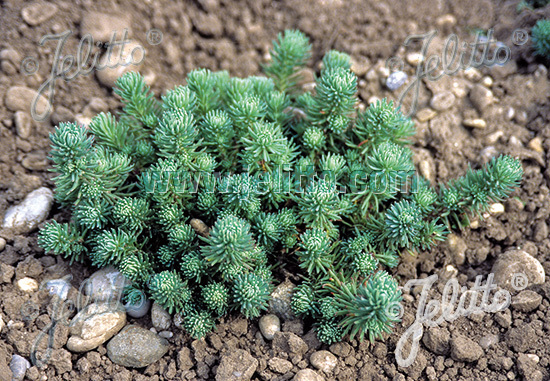 Special Features: Strong-growing sedum with thick attractive rosettes of blue-green, flattened leaves - sometimes colored pinkish-purple. 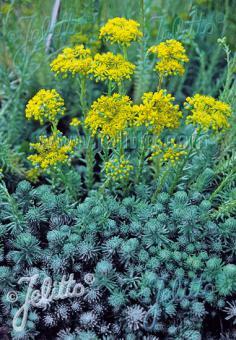 Enchanting corymbs of starry yellow blooms. Historical: Introduced by JELITTO PERENNIAL SEED in 2007.